LGC exclusively revealed yesterday how the Department for Communities & Local Government had “effectively suspended” a move towards implementing the reforms by the end of the decade after the Local Government Finance Bill was left out of the Queen’s Speech. Jo Miller, president of the Society of Local Authority Chief Executives & Senior Managers, told LGC councils were facing a financial “cliff edge” at the end of the decade when four-year funding settlements come to an end. “The reason why we have managed this period of reductions well is because we have had four year plans, but they were predicated on something happening in 2020,” she said. “Now we don’t know what that is. It is no way to run a business. Revenue support grant, which provides central government funding to councils, has been drastically reduced since 2010. In 2019-2020, there will still be about £2.2bn central government funding in the system, down from £7.2bn in 2016-17. However, 169 councils - just under half of all local authorities in England - will no longer receive revenue support grant by that point. Under the Local Government Finance Bill revenue support grant would have been abolished and local government was to have been funded thtough business rates income. 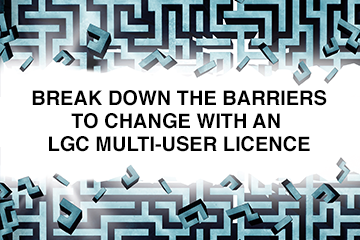 LGC understands the 100% rates retention pilot areas are to remain in place. These have been set up without any legislation. The DCLG is said to be committed to conducting a fair funding review as that does not require new legislation. Mr Whitfield, director of finance and corporate services at Southwark LBC, said while colleagues at some councils would be disappointed that 100% business rates retention had been abandoned, others, particularly those with low business rates bases would not be too concerned. “From my perspective it doesn’t matter if you call it business rates retention, revenue support grant or fair funding, it amounts to the same thing,” he said. Grant Thornton has won the largest contract to audit local authority accounts, Public Sector Audit Appointments (PSAA) has announced. ‘An end to austerity’ appears to be one of the many implications of the general election.